London, 30 October 2018 - Smart4Aviation, one of the leading providers of software solutions for airline operations, has signed a cooperation agreement with MeteoGroup, the global weather authority. This partnership combines MeteoGroup’s extensive experience in weather forecasting and monitoring with the power of Smart4Aviation’s software platform, creating substantial benefits for airline and airport operations. The parties intend to jumpstart their cooperation by integrating their standard products. The combination of S4A software with MeteoGroup Weather services results in an advanced operational predictive planning tool which can anticipate the impact of possible weather issues for the aviation industry. Lightning Tracker; to determine potential risk to ground crews as determined by the associated health and safety practices employed by location or airline. Combined with S4A Smart COMM, all data and information can be easily be automatized, processed, filtered, adjusted and delivered to pre-defined user groups or roles within an airline or airport operation as well as to any 3rd party partners and contractors who can collaborate on operational problems and situations. In S4A Smart COMM, over 70 types of alerts can be established to warn of any operational conditions, enabling users a comprehensive view of airline operations in real time. Every minute of a delay can cost up to several dozen thousand dollars, this is why it is so important to automate this process and improve communication between all stakeholders. Another product in Smart4Aviation’s portfolio is S4A Smart VIEW+, which can proactively track weather. This S4A’s flight tracking system is designed to combine real-time flight visualization and aircraft situational awareness by providing interactive presentations of aeronautical and geographical information tailored for comprehensive operational Flight Watch. S4A Smart VIEW+ can be also adjusted to display airport maps with all weather data taken from MeteoGroup sensors arranged in various locations across the airport network. Smart4Aviation and MeteoGroup are now actively investigating how Big Data modelling can added further value, by adding an additional predictive dimension to their operational solutions. 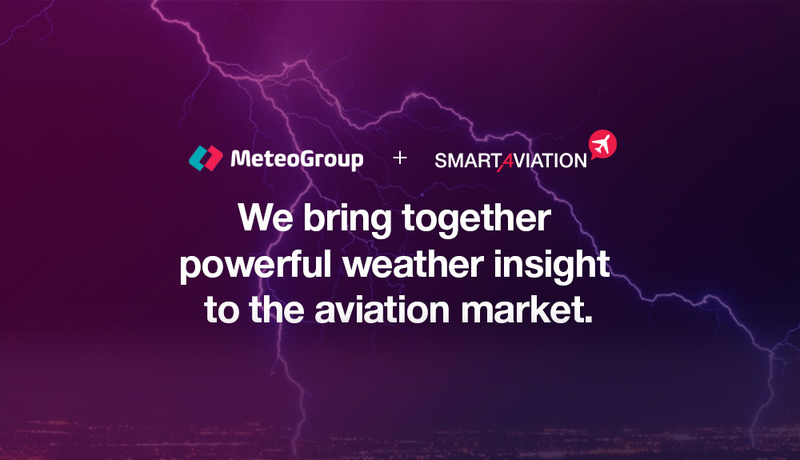 “The Partnership with MeteoGroup allows us to leverage the core skillsets of both Smart4Aviation and MeteoGroup, to provide a complete solution for pro-active Weather monitoring and alerting. This synergy allows airlines and airports to significantly reduce costs related to flight delays and cancellations”, said Mike Lewis, President and CEO of Smart4Aviation.